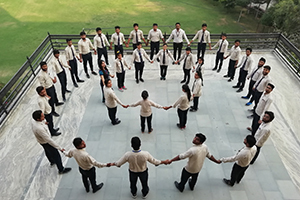 The Rajasthan Institute of Engineering & Technology observed the National Unity day (also known as Rashtriya Ekta Diwas) which is celebrated every year on 31st of October by the people all through India. It is celebrated to commemorate the birth anniversary of Sardar Vallabhbhai Patel who really unified the country. National Unity Day was introduced by the Government of India in 2014 with the aim of celebrating this event every year on 31st October. It would be celebrated as the 143rd birth anniversary of Sardar Vallabhbhai Patel. 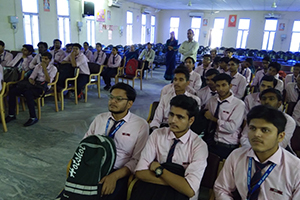 In The Rajasthan Institute of Engineering & Technology the aim of introducing this event was to pay tribute to the great man, Sardar Vallabhbhai Patel, on his birth anniversary by remembering his extraordinary works for the country. He really worked hard in keeping India united. 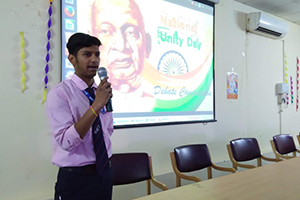 Speaking on the occasion Principal RIET Dr Saroj Hiranwal said that Sardar Vallabhbhai Patel being the first Home Minister and Deputy Prime Minister of India, he played a most important role in the integration of many Indian princely states to make an Indian federation. He made huge efforts to restore the peace all across the nation. Dean Academics & Admin, RIET, Prof. Kapil Dev Sharma said that PM Narendra Modi has inaugurated Sardar Vallabhbhai Patel’s memorial on the leader’s 143rd birth anniversary in Gujarat’s Narmada district. Called the Statue of Unity, the bronze sculpture is the world’s tallest statue measuring 600 feet (182m). 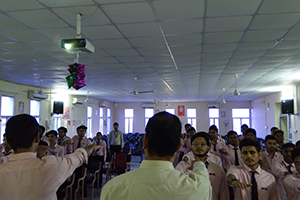 The first year Btech students of RIET took the unity pledge and also participated in a debate competition based on unity. 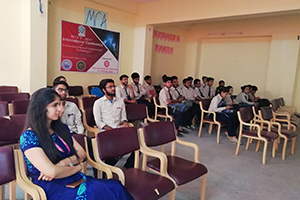 A large number of students participated in the event. Many boys and girls participated in the debate. The day ended with the patriotic cheers of “jai hind” and “jai Bharat”.